Satoru Iwata blames gamers' short attention spans for the lack of interest in 3D visuals. 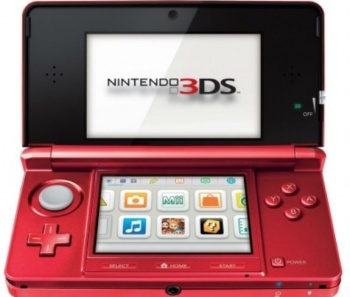 Nintendo impressed the audience when showing off the 3DS at E3 2010, but the performance of the handheld since its March 2011 launch has been underwhelming. Nintendo cut the price dramatically within months, and while the system has had some stellar titles, they have been few and far between. Nintendo President Satoru Iwata acknowledged this in a recent interview, stating that the publisher wouldn't pursue 3D as a key feature of any system in the future. Iwata was supportive of the handheld's visuals in the interview, calling 3D "an important element" and saying "it makes graphics more impactful, it proves a sense of immersion that 2D doesn't have, so I would say generally that 3D is better than 2D." He went on to explain that while the 3DS launched during a "3D boom," the trend has become less of a priority for gamers, for whom the novelty of such effects quickly wears off. The publisher may not be done with 3D forever, though. Three-dimensional graphics may still show up as a "minor element" in future Nintendo systems, according to Iwata. "In terms of videogames, 3D has been a topic for a long time, I don't know if you remember the Virtual Boy?" Yes, but I think we would all rather forget. He makes a good point about 3D being a fading novelty, but placing the blame for the handheld's lackluster performance on gamers' short attention spans isn't entirely fair. The publisher dedicated almost no time to the 3DS in its recent E3 press conference, the first-party titles have been few and far between, and those of us who picked up the system on launch day are still waiting on release dates for games that were announced over a year ago. (Animal Crossing, where are you?) Hopefully the handheld will gain steam with the scheduled releases of the 3DS XL, New Super Mario Bros. 2, and Paper Mario: Sticker Star before the year is out.